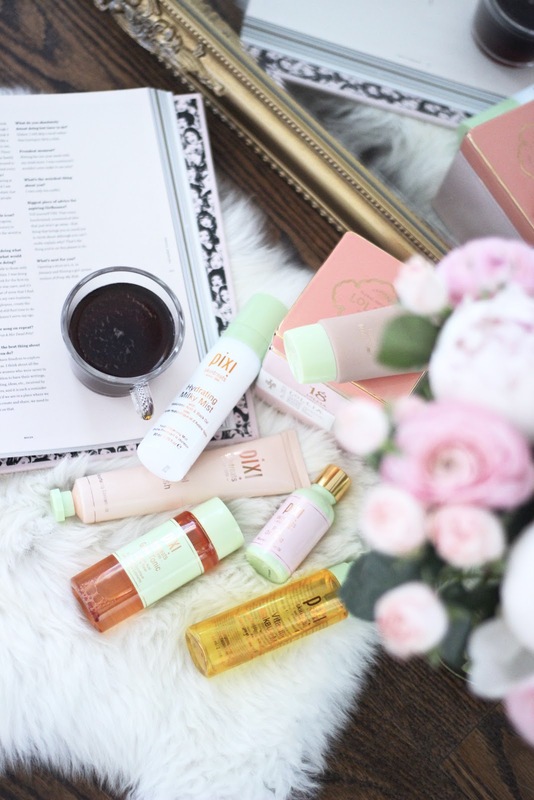 Naturally beautiful, skin serving, botanically enhanced, quick, simple, flawless... Today I'm talking all things Pixi Beauty and if any of these words resonate with you, you need to keep reading. Before having the pleasure of meeting Pixi makeup artist extraordinaire, Amanda Bell, I was already smitten with the brand. Years ago I would raid Target's beauty section and stock up on the essentials whenever I made a trip over the border. Now that the brand has made its way onto the shelves of Shoppers Drug Mart I can always be sure that my beloved Glow Tonic is never more than a quick hop, skip or jump away! Amanda and the Pixi team hosted an inspiring luncheon at Colette last week and I can honestly say that the intimate afternoon made me fall even more in love with the company and products! 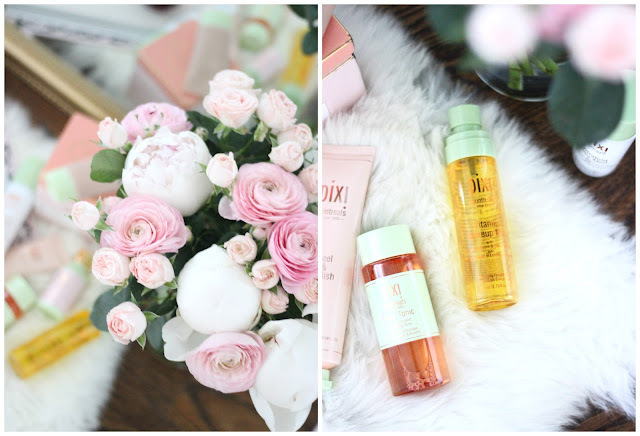 What I love about Pixi is that they focus on enhancing your own skin in the most natural way (winner, winner!!) The skin treats are there to clean and prep the skin and the makeup products are truly there to enhance what you already have, not to cover or hide your own natural beauty. The pastel pink and mint packaging is just a bonus! Since natural beauty is something so dear to me I really felt connected to the brand. Amanda told us how Pixi came about and shared that in the early days, the infamous Glow Tonic was delivered in barrels to their Soho, London store and the ladies of the shop would package, bottle and label the toner. How cool is that?! Their reason for constantly selling out? The formula has not changed at all! And it's one that is suitable for all skin types. Trust me-- this sensitive skin, rosacea bearing, break-out prone girl can attest to its brilliance! I wanted to highlight a few tips that I learned from Amanda, and also share a few of my favourite products, old and new! 1. Glow Tonic- The best toner I've used. It's my go-to morning and night and can honestly say I notice a difference when I forget to apply it or travel without it. It does not dry out your skin, it leaves you feeling fresh (since it exfoliates), clean and glowing. 2. Vitamin Wake Up Mist- A new product and an instant favourite for me. The smell is absolutely in- toxifying-- think orange blossom, lavender and citrus. It's basically summer mornings in a mist. I have been using it anytime throughout the day as a refresher, and also after I apply my makeup to set. 3. Rose Oil Blend- Another amazing product that gives off the ultimate dewy glow. You can use it after your toner as a straight face oil, but I've also been adding a drop to my moisturiser to really hydrate the skin and add some elasticity. 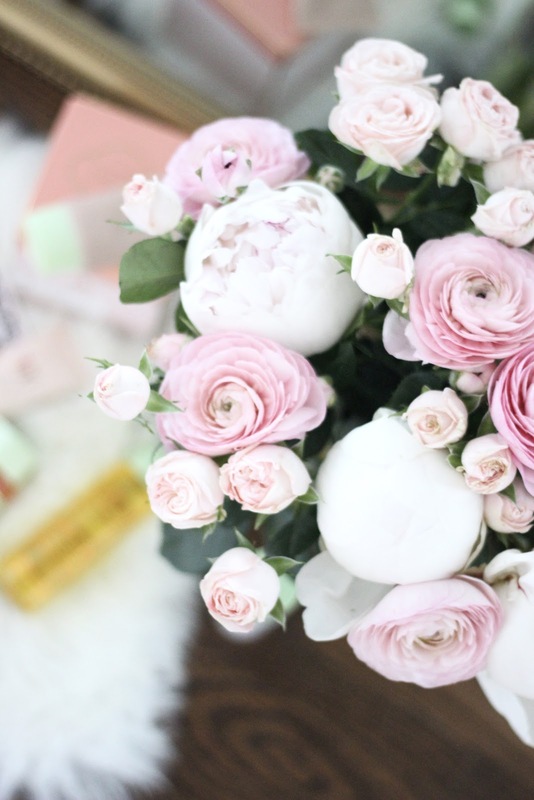 Pro Tip: Mix 1 drop of the Rose Oil Blend with the H20 Skin Drink for the ultimate hydration. 4. Flawless Beauty Primer- One product you will need for the summer! Besides the even skin, this primer adds the most perfect illuminating glow. You can even use it as a face moisturizer. 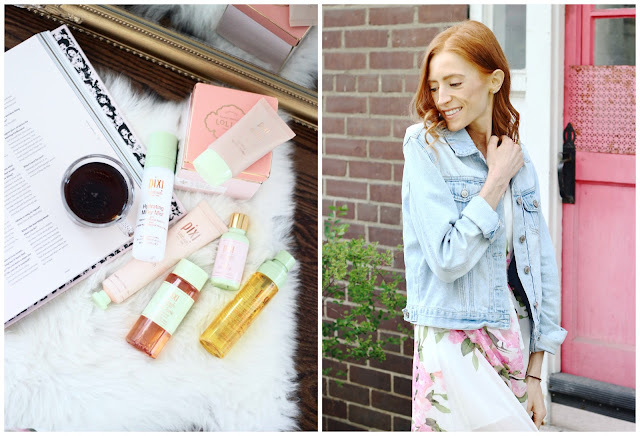 I've been adding my Rose Oil Blend to this primer and finishing off with the Vitamin Wake Up Mist for a simple, flawless, glowing look (it's what I'm wearing in these pictures)! The Hydrating Milky Mist contains black oat which is perfect for sensitive/ rosacea prone skin. It also contains hyaluronic acid, which is amazing for moisture! The H20 Skindrink provides a serious moisture surge and a cooling effect. Thank you to Pixi Beauty. Products were given for review but all opinions stated are my own. Very cool. You were hip to Pixie products even before they were available here in Canada...no surprise there!! at the opportune time, and how can one get it separated nature's Grace? One gets it through the master - the famous educator.